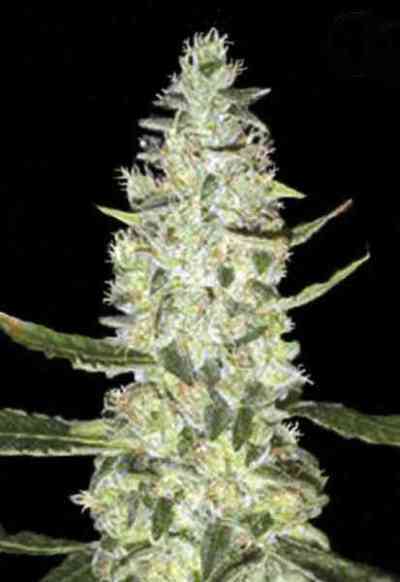 Super Bud from the seedbank Green House is the junction resulting from the combination of two highly appreciated genetics, such as the pruductive Big Bud and the legendary Skunk marijuana, obtaining as a result a large production cannabis plant. Super Bud will have a vigorous growth, adopting a shrub shape, creating multiple lower branches that will hold several m2 area wherever you are plante it. Its vegetative structure is strong and durable, the prelude to the big quantity of flowers that will create during the flowering period. Its leaves are wide, long and dark green, typical of Indica varieties. During the flowering period, it can be seen how the flowers appear already hard from the start creating lots of buds of large volume and weight. Green House Seeds recommends using cultivation techniques SOG or SCROG to optimize production up to 900 gr/m2 for indoor cultivation harvesting in 56 days and 1 kg per plant for outdoor cultivation harvesting in late September. Their trichomes contain a level of 17.33% of THC, an 1.93% of CBN and 0.24% of CBD. These concentrations make Super Bud become into a medicinal plant type. Its effect will be narcotic character, ideal to stimulate appetite and to relax body and mind, helping to sleep in those people that suffer from insomnia.